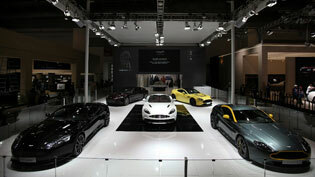 Aston Martin marks the 2017 edition of the Dubai International Motor Show with a show-stopping display of cars, including some of the rarest models ever built amongst several regional debuts. The Aston Martin-Red Bull Advanced Technologies concept hypercar; AM-RB 001, will make its first appearance in North America — and global auto show debut — at the Canadian International Auto Show in Toronto later this month. 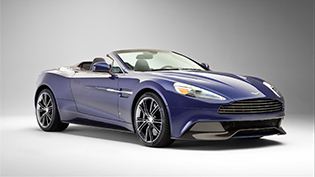 Aston Martin is today looking back on its most successful and comprehensive showing to date at the Goodwood Festival of Speed. 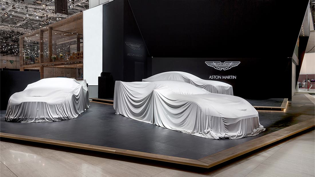 Aston Martin is confidently looking toward the future at the 85th Geneva International Motor Show, as CEO Dr Andy Palmer leads the luxury British brand into a bold new era reaching far into the next decade. 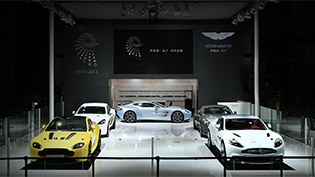 Aston Martin Bangkok by Heritage Motor Sales and Services (Thailand) Co., Ltd arrives at the 35th Bangkok International Motor Show 2014 (BIMS) with a stunning selection of uniquely appealing luxury sports cars thanks to its bespoke personalisation service: Q by Aston Martin. 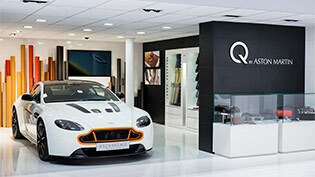 Aston Martin arrives at the 84th Geneva International Motor Show with its most compelling bespoke sports car creations to date, courtesy of its increasingly popular tailor-made personalisation service: Q by Aston Martin.